Another day, another trunk-mounted luggage rack which has probably never seen any luggage. 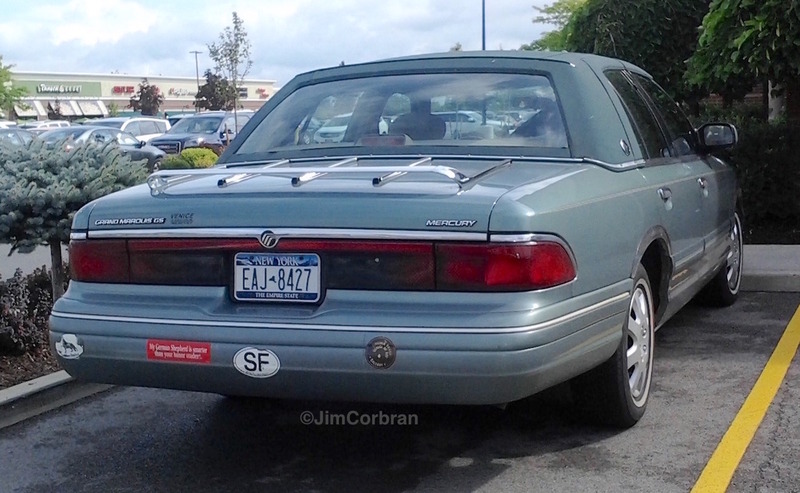 Having driven a car very similar to this 1997 Mercury Grand Marquis a time or two, I can say with some authority that the luggage rack was probably provided to give the driver some idea where the back of the car was while looking in the rearview mirror. Tough enough parking one of these land yachts without the added problem of not being being able to tell where the rear of the car ends. Saw this one last year in Amherst.